SAFI offers a wide range of manual and actuated valves, strainers and fluid control products for the food industry. The food industry requires quality industrial water and also uses cleaning techniques with corrosive chemicals to which the SAFI valves are perfectly resistant thanks to the quality of their thermoplastics and elastomers. SAFI is a brand recognized by many actors in the alimentarity industry such as UNILEVER, DANONE, MARS, KALLE, VISKASE, CHAPOUTIER, who have trusted SAFI for decades considering the SAFI product range suitable for their products. The parchment paper is a paper with great surface hardness, with a parchment aspect, translucent, and at a very low level of porosity. It is used in wrapping, for the conditioning of fat, and in pastry as it supports traditional oven baking. Diaphragm valves DN50 in PPH/PTFE, tube in PE, on cooling system solutions H2SO4 recuperated: ~1600 g/L, T: 40 / 50°C; P: 3 to 4 bar. This type of paper is obtained by soaking it in sulfuric acid. The action of the acid is instantaneous and causes the breakage of long fibers. The fibers are partially solubilized and form a cellulose gel, which remains patched on the paper and clogs the pores, ensuring its impermeability. The paper goes through several baths of sulfuric acid at 70% with different temperatures, and then rinsed with soda before drying. 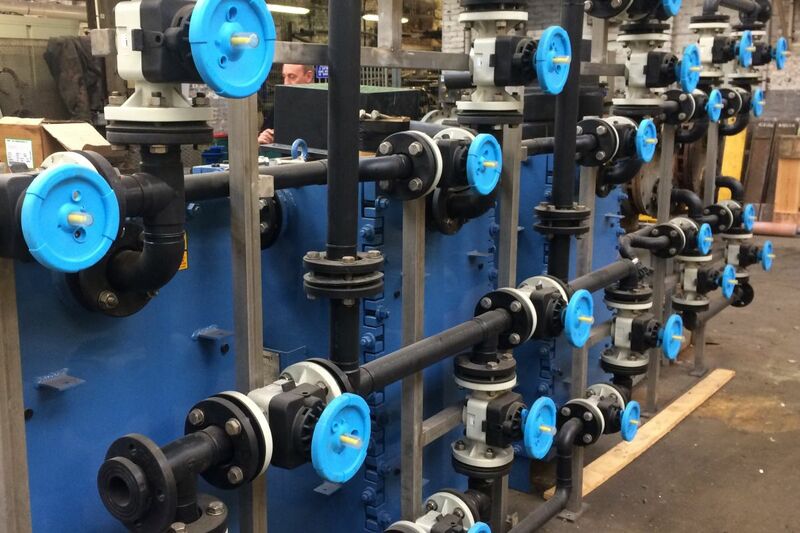 These conditions of service are particularly favorable for the use of SAFI thermoplastic valves which allow a long lifetime of the installation thanks to their excellent resistance to chemicals. At the end of the process the sulfuric acid is cooled and recovered before going back to the process.